Not quite the class-leader it previously was, but the BMW X5 is still a rather excellent premium SUV. BMW may be a brand that’s associated historically with sedans and sports cars, it’s actually SUVs that have been amongst the biggest hits – with the BMW X5 being perhaps the most obvious example. When the only Beemer that outsells it in the States is the perennially popular BMW 3 Series sedan, you know you’ve got a hit on your hands. And it’s easy to see why the BMW X5 is such a strong-selling vehicle. On top of the cache that comes with the BMW badge, the X5 also manifests itself as a well-built vehicle with a pleasant cabin, good levels of practicality and a truly terrific range of engines. Such attributes aren’t enough to make the BMW X5 the finest vehicle in its segment, but this plush sports utility vehicle is nevertheless a very well rounded car that we feel anyone looking for something in this sector should definitely consider buying. Likewise, overall fit-and-finish is also to a very high standard, and again representative of the BMW X5’s price tag. If the attractiveness of an interior’s design is a key factor to consider when buying a new car, then it’s likely that the BMW X5’s cabin might not instantly appeal to you. In comparison with the less cluttered control layouts as seen on the Volvo XC90 and Land Rover Discovery, to the oh-so-classy plushness displayed in the Audi Q7, the BMW X5 does lack a bit in this area. Such a criticism is admittedly clutching at straws, with the BMW X5 certainly feeling every cent of its $55,500 base sticker price. All of the materials used are of a very high grade (even though it’s a shame that leather upholstery’s only standard on models with eight-cylinder engines), and even the trim pieces used further down in the bowels of the cabin don’t renege on that standard of quality too much. 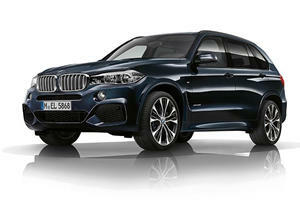 Likewise, overall fit-and-finish is also to a very high standard, and again representative of the BMW X5’s price tag. Despite our reference to center console clutter, the BMW X5 also isn’t an egregious offender when it comes to interior ergonomics. For sure, there are some slight issues (the row of buttons right at the base of the center console aren’t that easy to operate whilst you’re driving), but – as most of the features are operated by BMW’s rather ace iDrive multimedia infotainment system – we feel those issues aren’t quite as prominent as they would otherwise be. The volume of the passenger compartment, which is rather impressive even by the standards of the class. Also worthy of mention is the volume of the passenger compartment, which is rather impressive even by the standards of the class. On top of the abundance of room up front for the driver and the passenger riding shotgun, the three remaining seats on standard BMW X5s are also available with lots of overall head, shoulder and leg room – meaning adults can genuinely be seated in comfort over longer journeys. Plus, as there’s barely any transmission tunnel that runs through the middle of the car (which is unusual in big SUVs that come with rear-wheel drive or all-wheel drive), there’s enough room in the foot well for all the passengers to place their feet too. Likewise, there’s good overall storage practicality, thanks to the abundance of sizeable cubby spots (we’re particularly impressed by the broad and relatively cavernous door bins, which are sizeable enough to comfortably accommodate a 1.5-liter bottle of water with a decent amount of space left over). In fact, the only part of the storage capabilities of the BMW X5 that we aren’t too enamoured with regards the trunk: though the 35.8 cubic feet and 76.7 cubic feet to play with when the rear seat backs are in place and folded away respectively sound great in isolation, they aren’t exactly class leading figures (a Volvo XC90, for example, offers 41.8 cubic feet and 85.7 cubic feet in the same categories). Still, it’s not like the trunk itself is small, and the combination of a broad trunk opening and a split-folding rear tailgate means it’s quite easy to slide larger items into the available space (and especially sets of skis, when you factor in the 40:20:40 split-folding rear seat backs. A word of advice, though: unless you really need the extra seating capacity, ignore the third row of seats. On top of being particularly cramped and only suitable for carrying children, it’s an incredibly pricey optional extra at $1,700 and – as BMW hasn’t disclosed trunk capacities for seven-seater BMW X5s – we can only assume they eat into the available space considerably. If you desperately need a BMW X5 with seven seats, though, steer clear of the hybrid model, as that’s the only X5 variant that isn’t available to specify with this feature. We are genuinely impressed by how responsive the BMW X5 is. 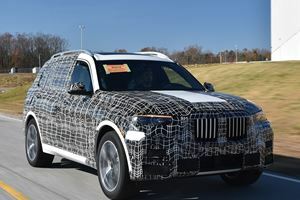 Normally, SUVs aren’t really known for being fun to drive (simple rules of physics dictate a heavy vehicle with a high center of gravity will more than likely be a bit sloppy and imprecise), but the BMW X5 is a remarkable exception to that rule. For sure, it’s not the only sporty-ish vehicle of this type (the Porsche Cayenne in particular does a rather impeccable – and, arguably, even better job of being an driver-focused SUV), but we are genuinely impressed by how responsive the BMW X5 is. As an example, the BMW X5 is very well composed during cornering, with very little body lean and surprising amounts of grip and traction available on even the base rear-wheel drive car. The combination of nicely weighty and responsive steering, on top of the good forward visibility, means it’s rather straightforward to confidently place the BMW X5 where you want it on the road. Overall visibility in general is surprisingly good too, with the rear view out being especially impressive by class standards. Though there are some chunky pillars to contend with, they aren’t that thick, so the blind spots aren’t massively obtrusive, and the large rear window gives the driver a very good view out the back. The BMW X5 noticeably lags behind rivals is in terms of noise insulation. It’s about here, though, where our praise starts being reduced to a mere trickle of compliments. Perhaps the big area where we feel the BMW X5 noticeably lags behind rivals is in terms of noise insulation. Compared with more refined rivals like the Lexus RX and Mercedes-Benz GLE, the BMW X5 does suffer from a noticeable amount of tire roar, and even a hint of wind whistle can be heard if you’re keeping an ear out for it. The ride quality also isn’t amazing by class standards, though isn’t as majorly impactful on the driving experience as the noise intrusions are. Unless you opt for the optional adaptive suspension system, which alleviates the concerns we have via its rather good ‘Comfort’ mode, the ride on the BMW X5 is fairly firm, which may put off buyers who’d prefer the more composed ride qualities of alternatives like the Audi Q7. The BMW X5 is a vehicle that can proudly claim to be in the “all engines are great” club. It’s very rare for a car to have a range of engines where one doesn’t noticeably lag behind the rest, but the BMW X5 is a vehicle that can proudly claim to be in the “all engines are great” club. Purely on objective terms, the BMW X5 genuinely doesn’t have a bad powertrain option. As a result, if you’re not particularly fussed over what engine to go for, we reckon you’ll be perfectly fine sticking with the base unit: a 3.0-liter, six-cylinder gasoline engine. With 300-hp and 295 lb-ft of torque (the latter available from 1,300rpm to 5,000rpm) on tap, there’s more than enough power to sufficiently get the BMW X5 up to speed, and is fairly economical for an engine of its type as a result of its claimed 18mpg in the city and 25mpg on the highway for rear-wheel drive models (adding all-wheel drive only drops the highway economy by one mpg, and doesn’t reduce the city-based fuel usage at all). 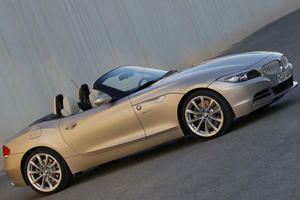 Plus, the six-cylinder is very smooth and refined, and especially suited to cruising about at lower revs. Those who want a bit more grunt and have a bit more money going spare, but can’t quite afford the $98,800 BMW X5 M performance-oriented flagship, will likely find the 4.4-liter eight-cylinder gasoline option to be right up their street. With outputs of 444-hp and 479 lb-ft, the BMW X5 with this engine option is understandably a rather rapid device, and certainly a match for the equally performance-oriented Porsche Cayenne GTS. Fuel economy also isn’t too bad, with the claims of 15mpg in the city and 21mpg on the highway being fairly reasonable when you consider the size of the car and the engine it has under the hood. Regardless of the engine you go for, you’ll be treated to a rather excellent eight-speed automatic transmission. Anyone who isn’t quite satisfied with either option presented thus far, then, will likely find much to like about the hybrid powertrain. On paper, there certainly is a lot to be content with: a 2.0-liter four-cylinder gasoline engine and electric motor combination results in a vehicle that’s marginally more powerful (308-hp) and torquey (332 lb-ft from as low as 1,250rpm), yet brings heavily reduced running costs to the table. However, the end result isn’t quite as straightforward as that. Though it’s allegedly possible to return 56mpg if you use the hybrid system to extract as much gas mileage as possible, it’s likely that buyers will be more likely to see the pure gas engine economy figures of 24mpg on a day-to-day basis. 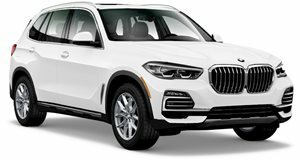 Since the hybrid has a $6,600 premium over the base 3.0-liter gasoline model, we would hesitate on suggesting the hybrid BMW X5 is worth your time unless you’re likely to rack up enough miles where the higher asking price is negated by the savings you’ll make at the pumps. Regardless of the engine you go for, you’ll be treated to a rather excellent eight-speed automatic transmission. The gear changes are smooth, the transmission responds pretty much immediately when you change up or down using the paddles mounted behind the steering wheel and it rarely-if-ever dithers about when selecting the most appropriate gear for the current situation. By all means, it’s a great automatic ‘box. With a starting price of $55,500, the BMW X5 is comparably priced with premium offerings like the Audi Q7, Porsche Cayenne and Mercedes-Benz GLE. Even by the standards of the class, the BMW X5 was amongst one of the more expensive offerings in this segment. With a starting price of $55,500, the BMW X5 is comparably priced with premium offerings like the Audi Q7, Porsche Cayenne and Mercedes-Benz GLE, and several thousands of dollars more expensive to buy than the Lexus RX and Volvo XC90. That pricey feel also extends to the kind of equipment you can expect to find fitted to your BMW X5 as standard. Admittedly, it’s not like the BMW X5 is obtrusively denied of the creature comforts you’d expect at a car at this price (heated front seats, a 10.2-inch infotainment display with a very good built-in navigation system, cruise control, parking sensors and climate control are all standard on every BMW X5), but it’s a shame that items like leather upholstery, a reversing camera, blind spot warning and even Apple CarPlay connectivity are only available if you start ticking boxes on the options list. Even more infuriatingly, you’ll need to spend a sizeable amount of money in order to have those items installed: add the $1,450 leather upholstery, the £300 Apple CarPlay connectivity and combined worth of $3,100 for the two Driver Assistance packages that include the other items mentioned in the prior paragraph, and you’ll find yourself with a BMW X5 that’ll set you back over $60,000. The four-years/50,000-miles warranty is also fairly decent by class standards. Perhaps making these features even harder to justify is that the less affordable vehicles in this segment can be fitted with those items, and still undercut the BMW X5 by a substantial margin. For instance, a Lexus RX can be very generously specified and still turn out as more affordable than the most basic and cheapest BMW X5 you can buy – and a similar story can be said for the Volvo XC90. By all means, if you have the money going spare and have your heart set on a premium SUV of this ilk, the BMW X5 is worthy of your consideration. Just be aware that you can get a well-specified alternative that does a lot of what the BMW X5 provides at a noticeably lower price. Still, being a BMW, the X5 does hold onto its value fairly well (if, again, not quite to the same level as the Lexus), and the four-years/50,000-miles warranty is also fairly decent by class standards. Plus, thanks to the array of safety gear, the BMW X5 was also able to score five stars in its most recent crash test. Here are the spy shots before our spy photographers snap them. Actually, there are two issues that could potentially lead to a fire. The M Sport package comes as standard for both models.